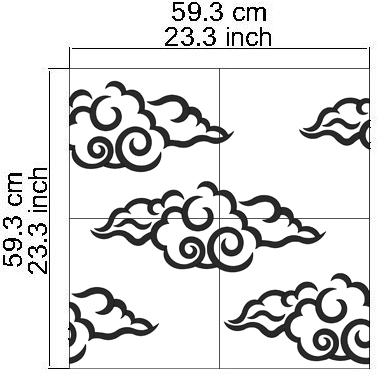 Heavenly clouds symbolize good fortune and wish granting.These ruyiyun 如意云 clouds are associated with wish-granting because they resemble the shape of the wish-granting ruyi scepter as well as the lingzhi 灵芝 fungus of immortality. 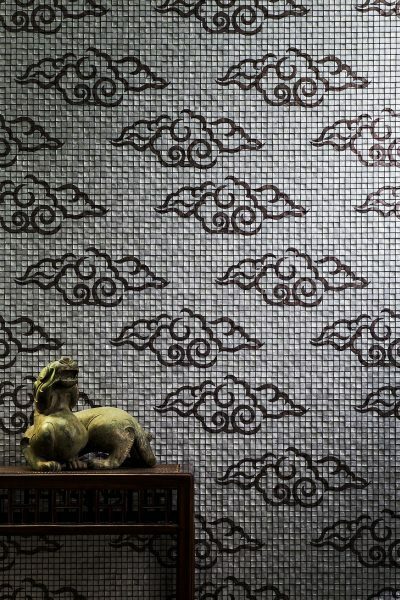 They are popular in textiles, embroidery, ceramics, and architectural details. 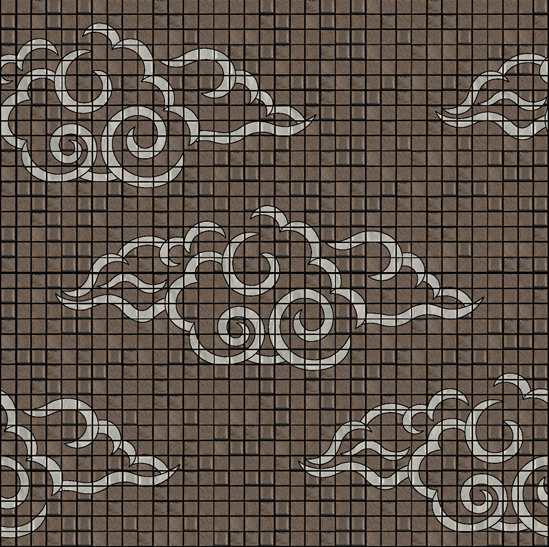 In textiles, clouds are often seen as a background motif or on borders and edges. Artist Ingrid Booz Morejohn interpreted this cloud pattern for sonite with round and brushlike strokes. These wish-granting clouds are available in brown against silver background, casting its elegance for any office or home interior.